If you want to indulge your chocoholic tendencies for less money, the best time to buy chocolate is November, January, and February. Learn the details on getting the best deals and how to keep your haul tasting fresh. If you don't mind off-season packaging, you can get chocolate for 75 to 90 percent off after any candy-rich holiday. This includes Halloween, Christmas, Valentine's Day, and Easter. The discounts on holiday chocolate are almost immediate at many stores. If you stop by your favorite department or drug store the next day (or within a few days) after one of these holidays, you will find all of their leftover candy on sale. Of course, other savvy shoppers know the same trick, so the selection can dwindle quickly. Get there early for great deals on chocolates you'll actually want to eat. Just because you found a great deal on chocolate doesn't mean you have to eat it all at once. In fact, it's probably not the best thing for your diet and your chocolate stash will be gone before you know it! Preserve your chocolate and prolong your enjoyment by storing it in the refrigerator or freezer. If it's out of immediate sight, you will not be tempted to overindulge either. Most milk chocolate has a shelf life of one year and dark chocolate can be good for up to two years, so long-term cupboard storage is ideal. That is under the perfect conditions of about 65 degrees Fahrenheit, though. It's likely that your house will fluctuate so turn to your fridge for the best long-term chocolate storage (particularly in summer). Refrigerators and freezers are humid and that can ruin a perfectly good piece of chocolate. Be sure to place wrapped chocolate in a well-sealed container. Freezer zipper bags are perfect, just be sure to remove as much air as possible. 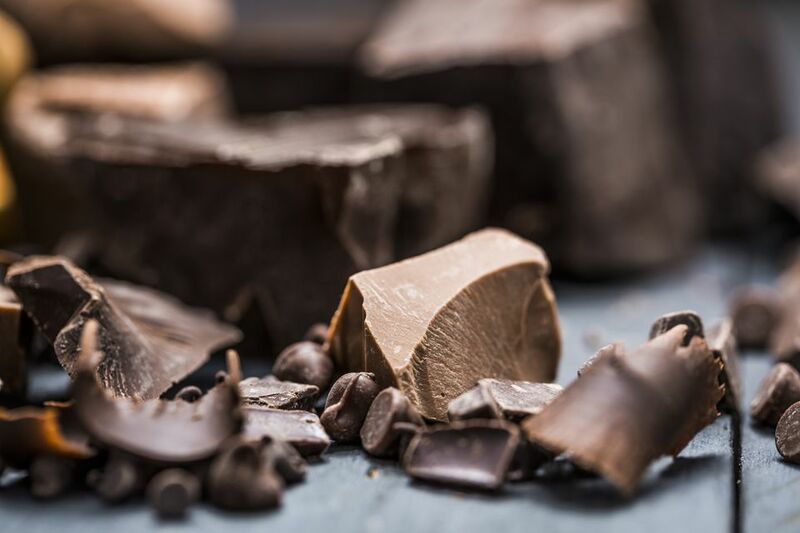 It is not a bad idea to give chocolate an extra layer of protection from condensation and ice by tightly rolling it in a dish towel or plastic wrap as well. Condensation is chocolate's enemy. If you go straight from the freezer to the counter, your chocolate may get what is called "sugar bloom"—dull spots that are rough to the touch. While it's still good to eat, it's not quite the same. Place any frozen chocolate in the refrigerator until it thaws out. Allow cold chocolate to come to room temperature slowly. Again, wrapping it in a dish towel after taking it out of the fridge can make a significant difference. Normally, it's not advised to freeze or chill chocolate, it is best at room temp. However, most mass-produced chocolates do freeze well with the tips above. Specialty chocolates, including bonbons, are a different story and you will get the most enjoyment out of them if they are not chilled or frozen. If you splurged on good chocolates, eat them up!